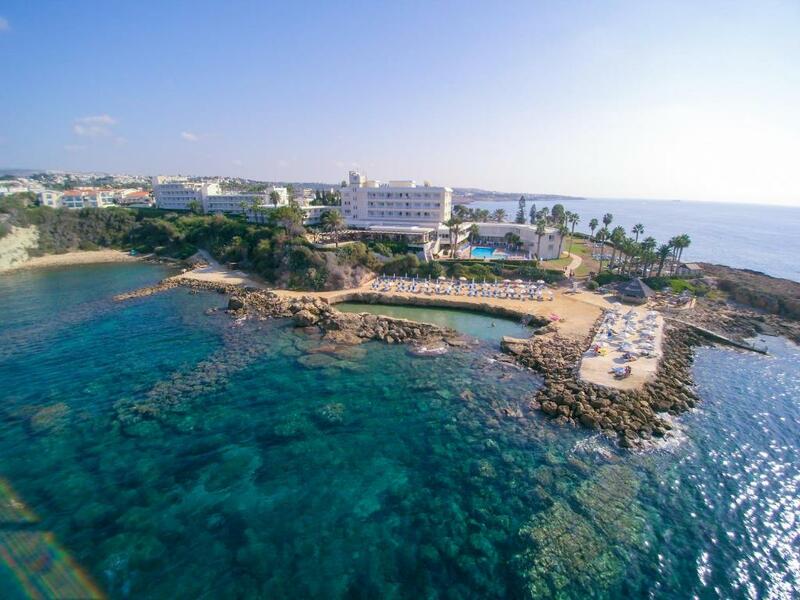 The Cynthiana Beach Hotel is set in one of the most unique and beautiful locations of Paphos Cyprus, offering a choice of both rocky and sandy beaches. The hotel is within easy reach of bustling Paphos with its picturesque fishing harbour, the medieval fort and some of the most fascinating ruins and archaeological sites on the island of Cyprus. This stunning and unique wedding venue is one of the picture perfect areas and possibly one of the nicest wedding locations. With its own pier surrounded by the sea, the area is second to none and it’s large enough to hold big wedding ceremonies. Beautiful terrace overlooking the sea, perfect choice for wedding ceremonies with elevated views to the pier and cove. The area is decorated with white curtains and all chairs have white chair covers. A private and secluded grass area overlooking the amazing views of the Mediterranean Sea and Coral Bay. This tranquil area is unique for taking photographs after the ceremony. A stunning set up and located in an idyllic location away from the main hotel building, this area offers inside or outside dining options. Next to the small swimming pool but also elevated, enjoys a magnificent and unobstructed view to the sea. Seating capacity up to 80 guests.